BACnet/IP is a data communication protocol mainly used in the building automation and HVAC industry (heating, ventilation and air-conditioning). The protocol allows equipment such as air conditioning machines, pumps and ventilation devices to communicate with a PLC. This creates buildings with a high degree of automation. 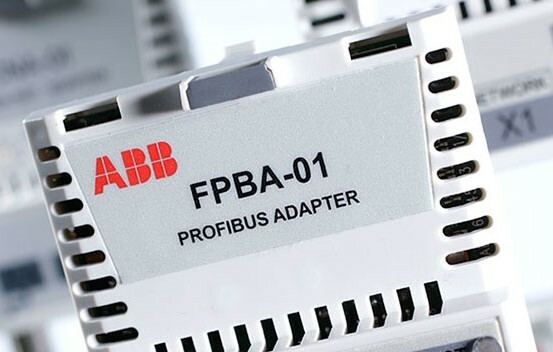 Our offering includes BACnet/IP fieldbus adapter for ACH550 drives (RBIP-01). BACnet MS/TP is a data communication protocol mainly used in the building automation and HVAC industry (heating, ventilation and air-conditioning). The protocol allows equipment such as air conditioning machines, pumps and ventilation devices to communicate with a PLC. This creates buildings with a high degree of automation. ACH550 drives offer BACnet MS/TP embedded as standard. CANopen is a popular industrial communication network originally designed for motion-oriented machine control networks, such as handling systems. It supports both cyclic and acyclic event driven communication. This makes it possible to reduce the bus load to a minimum and maintain short reaction times. EtherCAT is a real-time Ethernet Master/Slave fieldbus system. The EtherCAT slave devices read the data addressed to them while the telegram passes through the device enabling fast real-time communication. The telegrams are only delayed by a few nanoseconds. EtherNet/IP is an industrial Ethernet network and a variant of the Common Industrial Protocol (CIP) family of communication protocols intended for supervision and control of automation equipment. It is a well-established Industrial Ethernet communication system with good real-time capabilities. Ethernet PowerLink is a real-time protocol for standard Ethernet. The protocol guarantees transfer of time-critical data in very short cycles with configurable response time. LonWorks (local operating network) is a networking platform specifically created to address the needs of control applications. It is used for the automation of various functions within buildings such as HVAC, or utilities such as water and wastewater treatment plants. 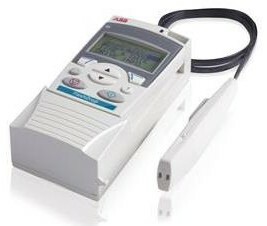 Modbus RTU (Remote Terminal Unit) means that the Modbus protocol is used on top of a serial line with an EIA-232, EIA-485 or similar physical interface. 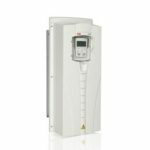 Numerous automation systems have Modbus-RTU interfaces for communication. Modbus is an open Master/Slave application protocol that can be used on several different physical layers. Modbus TCP means that the Modbus protocol is used on top of Ethernet-TCP/IP. 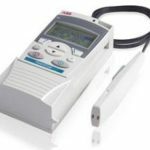 ABB drives act as a Modbus TCP server. Common read/write single and multiple register function codes are supported. SERCOS II (serial real-time communication system) is open digital interface for the communication between industrial controls, motion devices, and input/output devices (I/O). It uses optical fiber as the transmission medium. SERCOS II operates primarily in a Master/Slave arrangement exchanging cyclic data between nodes. The Master initiates all data transmission during a SERCOS real-time cycle. All data transmissions begin and end at the Master (circular). 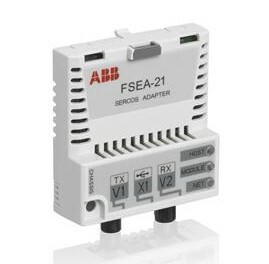 Our offering includes SERCOS II fieldbus adapter for ACSM1 drives (FSEA-21). DeviceNet is a popular network for time-critical applications. It offers robust, efficient data handling since it is based on a Produce/Consume model. DeviceNet uses CAN (Controller Area Network) as the backbone technology and defines an application layer to cover a range of device profiles. 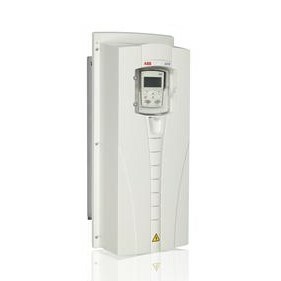 A variety of different panels is available for ABB low voltage AC drives. Some of the drives come with a control panel as standard and in some cases a panel can be ordered as an option. All panels can also be bought as a spare part. FlashDrop is a powerful palm sized tool for fast and easy parameter selecting and setting. It gives the possibility to hide selected parameters to protect the machine. Only the parameters needed in the application are shown. The tool can copy parameters between two drives or between a PC and a drive. All the above can be done without a power connection to the drive – in fact, it is not even necessary to unpack the drive. DrivePM (Drive parameter manager) is a tool to create, edit and copy parameter sets for FlashDrop. For each parameter/group the user has a possibility to hide it, which means that the drive user does not see the parameter/group at all. FlashDrop is compatible with ACS150, ACS350, ACS550 and ACH550 products. Access to the new eLearning environment has been granted to all those customers who have bought the FlashDrop product. Follow the instructions included with the delivery to register yourself for the FlashDrop and DrivePM Internet course. As the level of automation in factories continues to grow, so does the importance of machine safety in industrial applications involving drives and motors. When safety is designed properly it brings sound economic advantages, such as increased productivity and minimum downtime without generating additional risks. 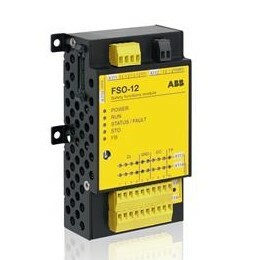 FSO-21 The optional safety functions module (FSO-12 and FSO-21) provides an easy way to extend safety functions in the ACS880 series drives. This plug-in module is installed and cabled inside the drive, enabling different safety functions and diagnostics in one compact and reliable module. Depending on your needs ABB offers an encoderless variant of the safety functions module (FSO-12) with six safety functions in it. There is also a safety functions module (FSO-21) available that offers eight safety functions enabling the use of encoder feedback (FSE-31). The FSO-21 includes the same safety functions as the FSO-12, but offers two additional safety functions for your drive. You can enable PROFIsafe over PROFINET connectivity, between your ACS880 drive and the safety PLC by adding the FENA-21 fieldbus adapter module to your drive. This way you will have a more flexible safety solution with the possibility to add safely-limited speed (SLS) to your application while it is in use. Both safety functions modules have SIL 3/PL e capability and conforms to European Union Machinery Directive 2006/42/EC. The safety functions modules are TÜV Nord certified.